You know what business continuity is. But have you ever heard of Voice Continuity? 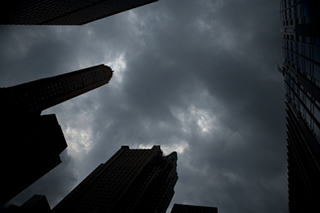 Think back to the aftermath of Hurricane Sandy. The power was out and, with it, your tenants’ office phones. If they are a company with clients outside of the tri-state region of NJ, Conn, and NY, then those clients lost touch with your tenants. And your tenants likely lost money. That’s the answer we usually hear. But for many companies, charging those cell phones became difficult after 10 days or more without power. Then there’s the customer experience. Their customers and prospects trying to reach them dialed the office line and got nothing. Customers get very frustrated when the burden of finding someone via cell phone falls on them. 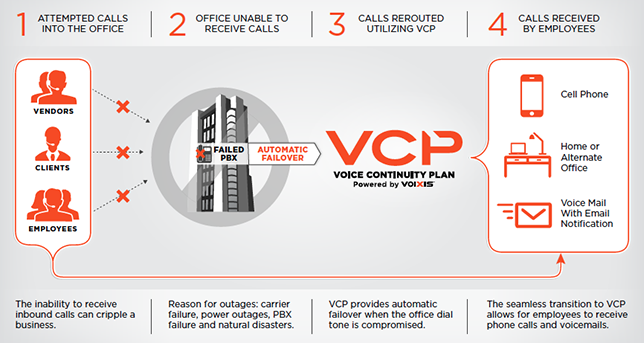 If you provided those tenants with a Voice Continuity Plan (VCP) from Cooperative Communications, Inc, their customers would have had the exact same experience they always encounter. We replicate their office phone system, phone commands, recorded messages and prompts into the cloud. Then, when the power goes out, their system automatically fails over to the Cooperative Communications, Inc VCP and all incoming calls are routed to the predetermined home lines and wireless phones of all their employees. Setup is easy and painless. One more way to differentiate your property. Cooperative Communications, Inc offers several opportunities to become a value added business partner. Leverage our infrastructure and technology while giving your clients a continuity plan they have been looking for. We have several unique plans and opportunities. To learn more about our partner program contact Mark Andreski, Director of Partner Relations at 973.969.9310.